• Uses the diagramming software that best maps to what you know and where you’re heading. • Fully vector-based graphic software, which facilitates the rapid creation of flowcharts, organizational charts, network diagrams and more. • Supports to import the existing Visio XML file perfectly. • Just drag the built-in shapes from the library pane and drop them on your page. Drawing couldn’t be easier! • Creates professional-looking diagrams quickly with themes, effects and quick styles. • Gains greater productivity in diagramming with features like automatically alignment and arrangement of all shapes. • Includes lots of high-quality shapes, examples and templates. • Distinct colors, fonts, shapes, styles, pictures, text, and symbols are available for each diagram object. • Easily visualize complex information with a wide range of diagrams. Make those diagrams even smarter and more useful by linking them to underlying data, which provides a more complete picture of the system or process. • Works with MS Office well. It can be integrated with Microsoft Office application easily. The UI is MS Office-style like so it’s easy to learn and use. 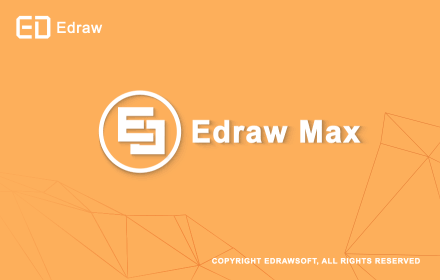 If you are familiar with MS Office, you will become familiar with Edraw soon. • Generics graphic formats support and WYSIWYG printing. • The UI is MS Office style like. Full ribbon features. • Added Themes, Color Themes, Effects and Fonts. Easy to change the whole diagram by changing the active theme. With the new Theme feature, you can format the colors and effects in an entire diagram with a single click. • Real-time previews. When you scroll over the various galleries in Edraw, you’ll see your drawings and various objects change to display what they’ll look like if you decide to apply those settings. Just click on the thumbnail in the gallery to actually accept the changes. This makes it a lot faster to see, for example, how changing a color scheme will affect your drawings. • Quick layouts and quick styles. These provide quick formatting options for the object in question, and make it easy to create good-looking slides with just a few clicks. • Put Edraw graphics into Word, Excel, PowerPoint with one-click buttons. • Text objects supported line space, bullet, Indent, back color, super script, sub script and more. • Shadows in general are so much nicer compared with those in previous versions. We can actually control the transparency, amount of blur and color now. • Shape and text presets make it really easy to apply a preset look to an object or text. • It’s quicker to zoom in and out now using the zoom slider in the southeast corner of the screen. • Recolor picture, Light and Contrast, transparent PNG support. • Opened the Shape Sheet for senior users to create more complicated shapes. • More than 2000 clip arts. • Improved Insert Hyperlink function. • Enhanced Print function. Support more page sizes such as A0 and A1. You can also print the large size graphics in separate pages. • Persistent undo and redo. • Languages: English, Chinese, German, Japanese, French.